I am a 45-year-old male who works in IT industry. Being an avid golfer, I have enjoyed the sport for many years until I developed neck and shoulder pain and low back pain. The low back pain became so intense that I would only walk short distances and thus could not play much of golf over the past year. I was diagnosed as having a herniated disc and was treated with cortisone shots, physical therapy and chiropractic therapy with no relief. The doctor recommended surgery. I found Lei Ding at Ding's Acupuncture & Herbs in Bellevue. She was able to help me so much that I am back to my old self of playing 18 holes of golf. She also treated my insomnia as well. I am feeling a lot better then it was before. Her office is so arranged that you feel relaxed while you are being treated. 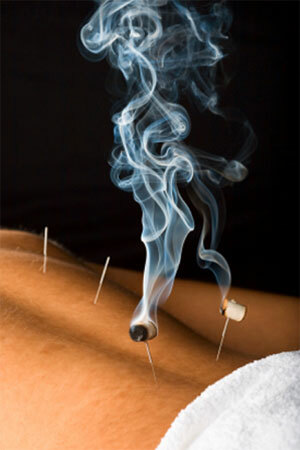 Oh, by the way the acupuncture needles do not hurt at all. My husband and I have been trying to have a baby for three years. Prior to seeing Lei Ding, I suffered from PCOS (Polycystic Ovarian Syndrome) and had very painful menstrual periods. Along with it, I also had PMS and hot flashes that made me just miserable around other people including my husband. After Lei gave me acupuncture treatments and Chinese herbal medicine for two and half months, my life is 90 to 95% better. I do not have the painful menses or the PMS. My hot flashes are gone. I can sleep through the night. I also do not have the migraine headaches that accompanied the painful menses and PMS. And guess what, I am pregnant! Thank you Lei. I have been overweight since my childhood. I have tried all the weight loss programs and products "under the sun", you name it! Every time I loss some weight I would only gain more back. A friend told me about her successes of smoking session and weight loss that she had with Lei Ding at Ding's Acupuncture. So, I went to see Lei and she was just wonderful. I have lost 30 pounds in ten weeks and I have not regained it back. The acupuncture needles in my ears stop my craving for sweets. Lei taught me how to eat and exercise. She really treated me as a whole person. Highly recommend her to everyone in need.